Whatever the reason for sending money to Kenya, be advised that using your bank is the least preferred option because of their high fees on transfers. In contrast, the Foreign Exchange brokers will provide better exchange rates on currencies and lower transaction fees. Take a look at our Kenya Money Transfer Guide below to see what’s the best option for you and how to keep more money in your pockets. Wire Fees: Depending on the location. Big International Transfer Fee + Currency Exchange Fee. Three Times The Cost Of Commercial FX. WorldFirst can help you to cheaply send money to Kenya from the UK, USA, Canada, Australia, Belgium, India, Nigeria or any other country that represents the Kenyan diaspora. To start working with Word First or to just a get a free quote, be sure to complete the form on their website. With TorFX you get receive the same set of benefits when wiring money to Kenya – zero fees, great currency exchange rates for your money and very low delivery time. If you want to get a detailed quote, you can easily do so by going to their website and complete a short form. The Central Bank of Kenya (CBK) has imposed very few restrictions on money transfers in order to support foreign investment. The only important restrictions come from Kenya’s anti-money laundering and terrorism financing law that requires transfers over KSh500,000 to be declared to customs authorities. Currencies: With World First you can send money from Kenya to any of the big countries like the United States, Canada, Australia, France, Spain or other African countries like Ghana, Nigeria or South Africa, with the same benefits and with the same delivery time. It doesn’t matter where you need your money to go, this FX company can fulfil your needs. Many people from Kenya are working as freelancers and this means that they will get paid from clients living abroad. And most of the times this implies big fees and currency exchange fees that could end up costing a small fortune. This is where Payoneer can really make a difference with everything they offer – small fees, good currency exchange rates, withdrawing flexibility and an intuitive platform so everything is easy to access. A country in the process of development and likely to be considered an emerging market, Kenya is the biggest economy in South East Africa and Africa’s key growth centre. The economic progress is driven by strong performance in tourism, by telecommunications and financial services expansion over the last decade which contributes nowadays over 60% of GDP and by agriculture, the backbone’s economy, which generates over 20% of GDP and employs over 70% of Kenya’s labour force. As a country with a growing population, a dynamic private sector and a fiscal and monetary discipline that the government is focusing to maintain, Kenia has the potential to sustain its economic growth. As a major contributor to Kenya’s GDP, Tourism is the largest foreign exchange earning sector in the country. Kenya is known for its warm tropical climate on the Indian Ocean coastline, for its safari but also for its natural parks and its diverse geography. A high proportion of tourists are coming from Germany and the UK, who are attracted mainly to coastal beaches and game reserves. The second major contributor to Kenya’s GDP is the Agriculture sector. Coffee, tea, corn, wheat, sisal, and pyrethrum are grown in the highlands and coconuts, pineapples, cashew nuts, cotton, and sugarcane are grown in the lower-lying areas. The most valuable sectors of all of Kenya’s exports are Horticultural produce and tea. Particularly, the Flower Industry is not only one of the oldest industry in Kenya but is actually the largest and most rapidly growing industry. Thinking Of Relocating To Kenya? 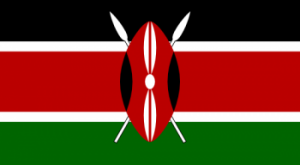 If you consider moving into Kenya and live there as an expat, you may find the following information helpful. Low Cost of Food: Average meal costs 2 GBP. Affordable Utilities: Average electric bill is 28 GBP. Low Rent: Average monthly rent 275 GBP. Security: Kenya has a very high crime rate. Crime Index is currently 70. Corruption: Kenya has a lot of bribery and a high level of corruption and low adherence to laws. Ranked 3rd on the global corruption index. Low Salaries: Average salary is 260 GBP per month. Popular cities for business and real estate transactions from abroad in Kenya: Nairobi, Mombasa, Nakuru, Eldoret, Kisumu, Thika, Malindi, Kitale, Garissa and Kakamega. Migrant remittance inflow to Kenya has doubled in the last 4 years setting a new record of 1.4 billion US dollars in 2014. And when more money there is to transferred, more companies will come into this market. Most of us would run to the bank and fill out transfer forms and send money as soon as the bank opened. But, is that the best way to send money to Kenya? No, is not. Banks take at least 24-hours to clear the amount from your account before starting the internet transaction. Then the transfer usually takes 1-2 days to complete. But the main problem comes with the receiving bank as they will lock it for 1-2 more days to make some interest on it, but they tell you that is for security reasons – to clear the payment. So if using an international bank-to-bank transfer you can expect for ~1 week delivery time. And a lot of big fees – for the transfer, for the currency exchange and so on. Thanks for the internet because even though it may be in the middle of the night, you can log in to the web and find a U.K. based forex broker and start the process immediately. Not only is using a money broker the fastest way, but it is also the cheapest way to send money to Kenya. And the same goes for other countries like South Africa or even Hong Kong. You will need to get an IBAN and BIC number for a bank account in the city where your friend is stuck. With those two numbers and her name, you are ready to go. Banks and remittance companies charge much higher transfer fees, exchange rate fees and delivery to a country on the EU system than brokers do. Brokers can offer you lower Pound to Kenyan shilling exchange rates and will give you an upfront quote of the total cost of the transaction before you send it. This gives you the opportunity to compare several different broker agents within a matter of minutes and use the one that will land the money in your friend’s hand the fastest. Brokers will give you a tracking number for your money transfer to Kenya and you will be able to see exactly when your friend received the money. At that point, you can contact your friend by phone and let him know that the funds are waiting. This is a common solution for those buying a house for investment or just to live in. The small fees and the possibility to set up regular payments are great advantages that banks don’t really offer. Create a free account with any of the recommended companies. Receive a quote from the specialists, be it online or by the phone. Approve the quote and confirm the transaction. Fund your account by sending the required sum of money. Receive the confirmation from the dealer that the transaction was completed. Send Money to Kenya: Companies that can make money transfers to people in Australia. Send Money from Kenya: Companies that take on Australian Clients. Kenya’s currency is the Kenyan Shilling (KSh). The KSh is fully convertible, making transfers in and out of Kenya relatively simple. The government has made international business transactions particularly easy. The Bank of Kenya oversees payment systems, monitors the proper function of financial systems, and works to preserve price stability. Its oversight extends to monitoring the activity of all financial institutions. Kenya is a founding member of the East African Community (EAC), which hopes to adopt a common currency in the next 10 years. There are no transfer restrictions on money going in and out of Kenya. However, transfers exceeding KSh500,000 must be declared to customs authorities. Up to KSh100,000 in hard currency may be carried out of Kenya at one time. Kenyan residents are taxed on any foreign income. Non-residents are taxed only on income originating in Kenya. Double tax treaties are in place to avoid double-taxation. With this article, we wanted to let you know that is a better and cheaper way to send money to Kenya, and this involves you to stop using your local banks. Yes, the banks are still a great option if you need to send money inside the country, but if you need to send money from Kenya abroad, then using a Foreign Exchange company is the way to go.